Outdoor containers are a great way to add pops of colour and personality to your spaces. Outdoor containers and other “decorations” are a great way to add personality to our outdoor spaces, which are increasingly important in our hectic lives. All Things Home put together a panel discussion for the recent Ottawa Home & Garden Show to explore the importance of our outdoor spaces, look at why they’re growing in popularity, and discuss how to maximize them. In this three-part series, our panel members answer questions such as why having a plan is so important, how you can maximize your space and the value of containers. In this part, we look at containers, water features and adding personality. Want more? In part one, our panelists explored why having a plan is key, and in part two we looked at maximizing our outdoor spaces. 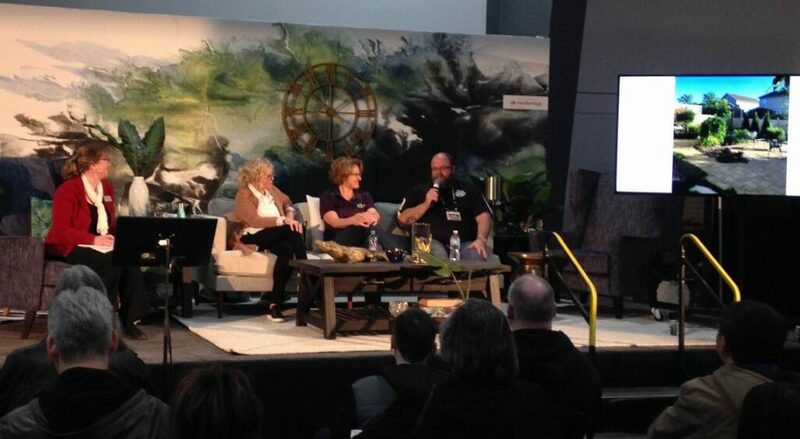 The All Things Home panel at the Ottawa Home Garden Show. Moderator: Anita Murray, president of All Things Home. Anita is a veteran journalist and the former Homes Editor at the Ottawa Citizen. She has covered the housing industry since 2011. Ed Hansen: Ed is the founder and president of Hansen Lawn and Gardens Ltd., which was established in 1988. 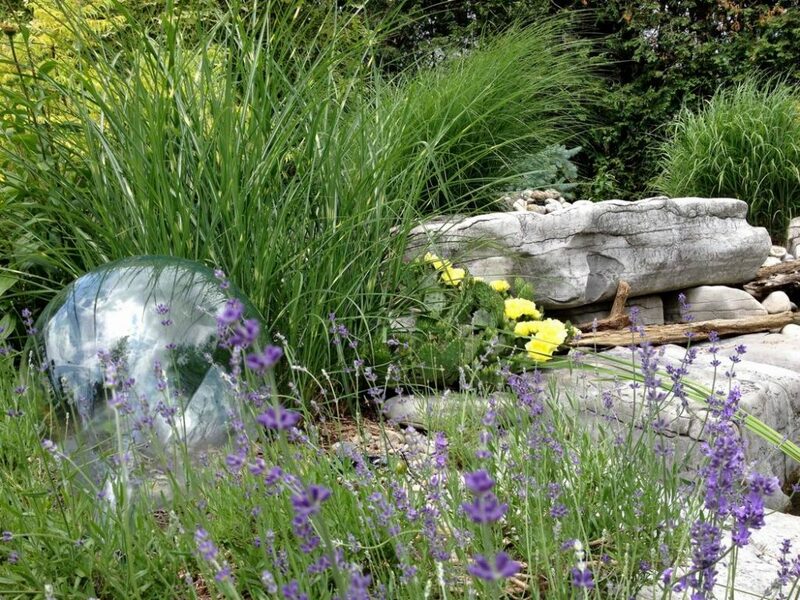 He is an active member of Landscape Ontario, the past president of Landscape Ontario’s Ottawa Chapter and a member of the Canadian Nursery Landscape Association. Mary-Anne Schmitz: Founder of Gardening By Design, Mary-Anne has over 30 years of experience in garden cultivation and outdoor design. Growing up in the countryside as one of 12 siblings, she’s always gravitated towards the outdoors and her span of experience ranges from personal green spaces to vast commercial sites. Cindy Cluett: Cindy is passionate about plants, so much so that she left a successful IT career more than 15 years ago to become a horticulturist and landscape designer. Her business, Beyond the House, is inspired by European-style garden centres and includes a florist and gift shop, greenhouses, beautiful nursery area, and a landscape design, maintenance and installation division. 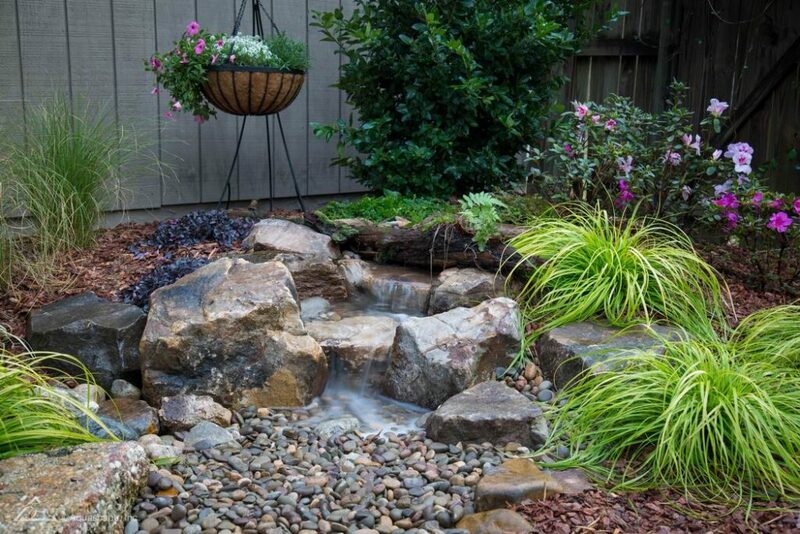 All Things Home (ATH): A water feature may not seem like a low-maintenance option, particularly when so many of us are seeking low-maintenance spaces, but there are many benefits of having one. What can you do to lower the maintenance? 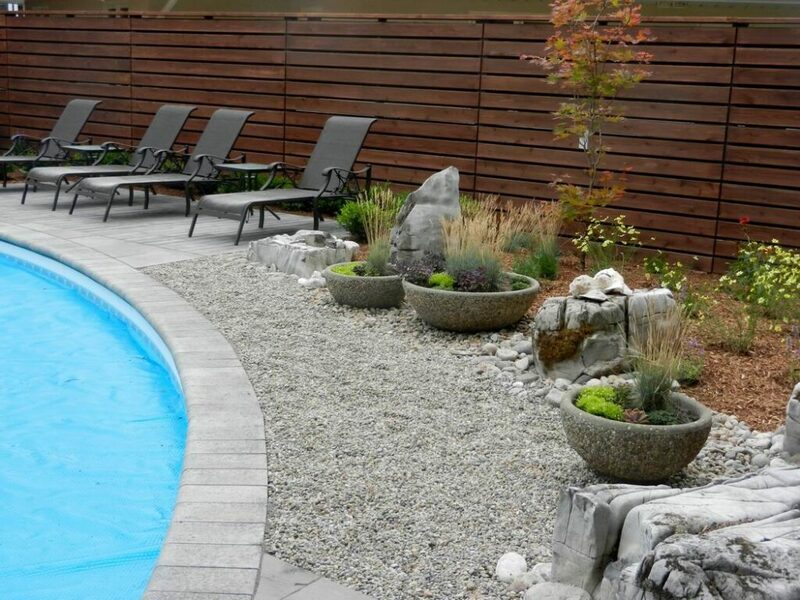 Water features can be simplified to minimize the work required. Ed: Water features can be tricky. They do require maintenance, but water is an element that I think is important in a backyard because of the calming effect it has. It doesn’t need to be an elaborate, expensive setup, it could be as simple as a $40 tabletop plugin model from Home Depot. Cindy: I’m a big fan of water features and they’ve come a long way in terms of reducing the amount of maintenance they have. Like the rest of your space, you need to determine if it “works” for you to have a water feature, including the work required to maintain it. Mary-Anne: There are many different kinds of water features you can include, such as pond-less features, water runs, swimming ponds. It’s a real draw to the outside. You can sit there and look at the water and it’s very gratifying. 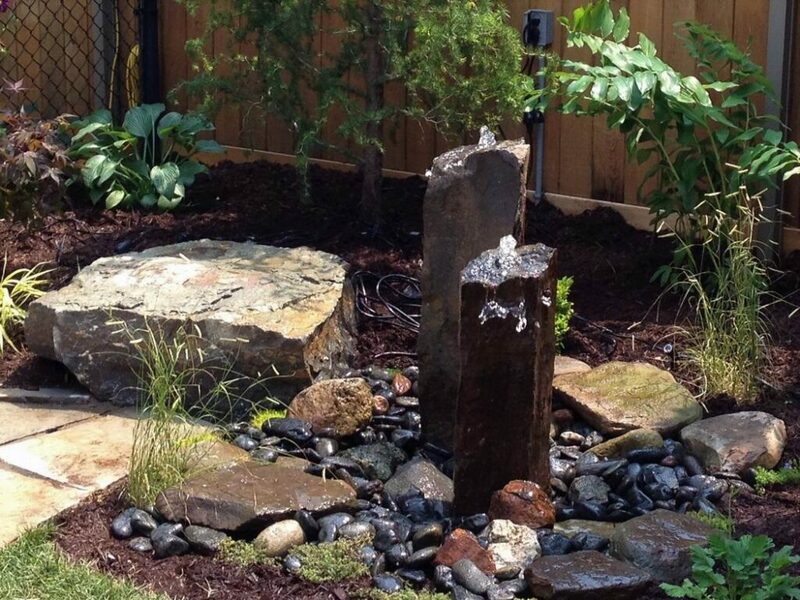 Like other natural elements, water features have a calming effect. ATH: Can we explore the appeal of containers? 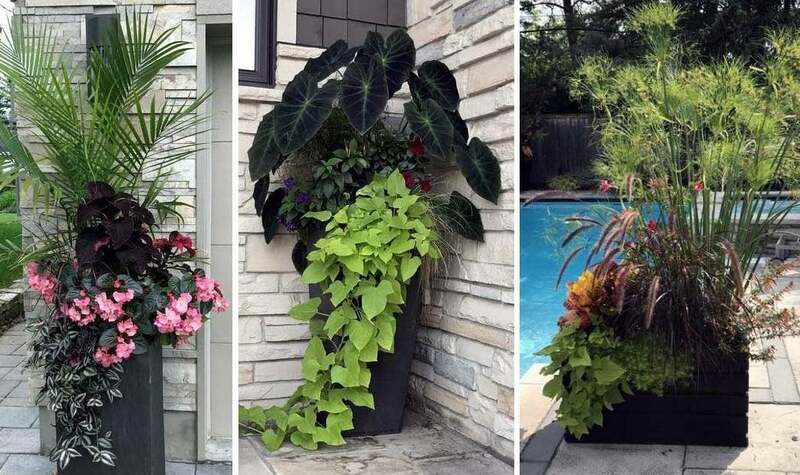 Cindy: I love them because they can be very simple, but they can also be dramatic with big tropical foliage; they don’t even need to have a lot of flowers. There’s no end to what you can do with containers, just make sure you pick the right plant for the right place, that’s key. And starting with the right soil. Fertilizing with slow-release fertilizer can help keep maintenance down. Tip: A small container means you have to water often. The bigger you go the less work it is. Ed: There’s the staging aspect of containers as well. I love that if you’re having a party you can change up the containers and make it feel like the space isn’t the same space that the last people were at. It’s kind of like swapping out your throw pillows. Don’t forget about the idea of vegetable garden containers, which are perfect for those who want the idea of a vegetable garden without as much work. They’re perfect for introducing children to vegetable gardening, they’re up off the ground so they’re easier to get at if mobility is an issue, and you can easily see them at eye level if you’re sitting out on the patio. They’re yet another stress reliever. Mary-Anne: They also make a great way to do your trial and error on a small scale, letting you test things out. Maybe you change them out the next year, position them in different spots. They’re a great way to start off spring. ATH: What about other ways to add personality or dress up your yard? Mary-Anne: You can jazz it up, that’s for sure. 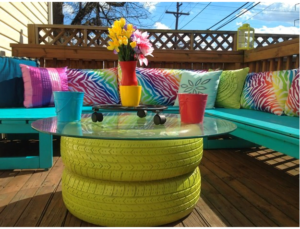 Add some colour, like painting old tires. It’s a way to add some fun. It’s your space, usually your backyard, so it doesn’t matter what you do, but the colour and the visual element are just one more thing to help bring you outside. 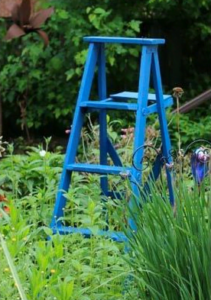 The stepladder is an easy, inexpensive way to add something unexpected to your outdoor space. ATH: Is it important to add your own personality? Mary-Anne: Absolutely, it’s your garden. You have to see a little bit of what you love. A carboy, for instance, it’s just hanging around. Put it outside and move it around next year. That way it’s something that you can control yourself. A carboy becomes an unexpected find in the garden. Cindy: Adding those fun little moments in the garden, they become focal points. So, if the plant isn’t blooming, let’s say you add that blue ladder, it still holds your eye to that area. It’s your garden, so make sure that when you invest that kind of money in doing the space that you’re doing it for yourself.